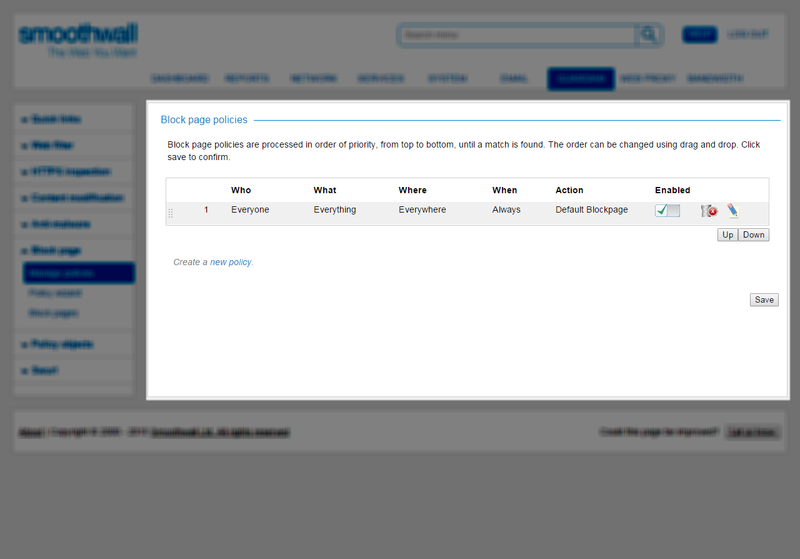 Block page policies are managed on the manage policy page. Guardian processes policies in order of priority, from top to bottom, until it finds a match. You can change the order by dragging and dropping them on the page. 1. Go to the Guardian > Block page > Manage policies page. 2. To change the order of the policies displayed, select a policy and drag it to the position you require. 3. Click Save to save the change(s). Guardian re-orders the policies.